HELLO PCH IT ME AGAIN WAITING ON THE PRIZE PATROL TO STOP BY AND DELIVER PRIZE GWY 6900 THE $7,000.00 PER WEEK FOR LIFE. A LIFE TIME PRIZE OF THAT AMOUNT PER WEEK WOULD BE THE ANSWER TO MY PRAYERS. YOU KNOW PLAYING THE PCH GAMES ARE A LOT OF FUM;BUT WOULD BE A LOT MORE FUN IT I CAN WIN SOME MONEY. I AM THANKFUL TO PCH FOR GIVING THE OPPORTUNITY TO SO MANY PEOPLE TO BECOME FINANCIAL INDEPENDENT.PLEASE ACTIVATE MY ENTRY FOR GAME GWY 6900; TO WIN $7,000.00 PER WEEK FOR LIFE. I TRIED TO ACTIVATE MY NUMBER BUT HAD PROBLEMS DOING SO. MY PRAYERS CONTINUE TO INCLUDES THE WINNING OF MONEYS FROM THIS WONDERFUL PROGRAM. Please activate #6900 set for life plus #6085 $50,000 plus the #6086 $10,000 thank you very much. I pray everyday you will be at my address in MOTT N.D on April 29th please. I want to win PCH GWY 6900. I would love to win pch Gwy no 6900 I would be able to help my family and friends and others. I would be so greatful. 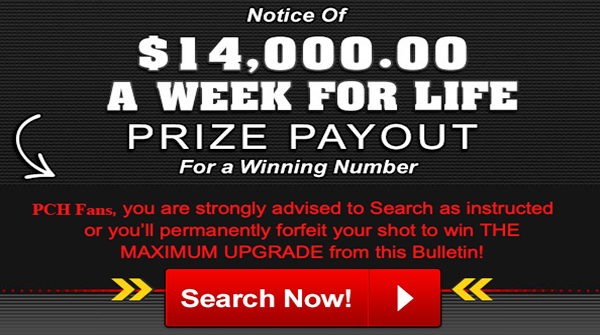 Well…Here I go again, trying to win the $7.000 a week for life grand prize. With the pch gwy no.6900. Thanks, PUBLISHERS CLEARING HOUSE CO. 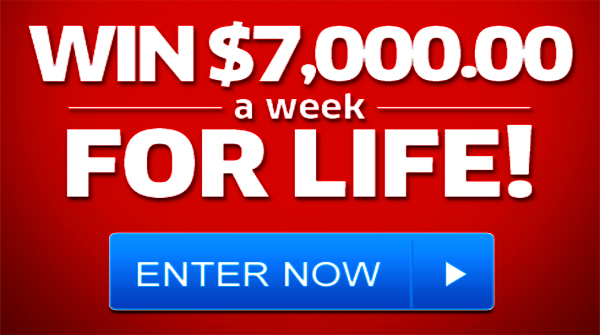 I have activated to win $7,000.00 a week for life gwy. #6900. Plus, Super Prize $1,000,000.00 Pch.#4950. I pray to be blessed. PCH.com Search a Win $7,000 A Week For Life #4900 Iam in it to win it (Gwy. No. 4900) on I Would Like To Win April 29th !! I’m claiming to win $7,000.00 a week for life from pch GWY#6900 Plus $,000,000.00 Super prize from Pch GWY#4950 on April 29,2016Plus $1,000.00 San Francisco Local TV area from Pch GWY # 6884.Thank you Pch Prize Patrol. I’m claiming to win $7,000.00 a week for life from pch GWY#6900 Plus $,000,000.00 Super prize from Pch GWY#4950 on April 29,2016.Thank you Prize Patrol Elite Team. Im claiming gwy #6900 #4900 #4950 W71and #W70 . $1,000,000.00 superprize, $7,000.00 a week for life april 29th 2016. Activate please. I am claiming my PCH GWY. #6900 I am so excited to.see if you will be at my door. I like to activate gwy 6900, and 6884. Final step to pch gwy 6900 , $7000.00 a week for life. Prize of $7,000.00 a week for life. Cash Bonus only available to VIPs like me ( Gwy.#7232)! I’m make sure me claim them by April 7,2016 (11:59PM,ET) deadline! Event. I would have a very important decision to make. AMEND this payout option to $5,700,000.00 Lump-Sum Payment! Yes ,I respond promptly if,I want to win this incredible life-changing prize from Gwy.No.6900! Hello PCH and everyone, If i were to win $7,OOO.OO A Week For Life On April 29th from PCH i can promise everyone these things for a fact, I have been working on a book for about 2 years and i’m about done with it. The first thing i will do is publish this book and make enough copies for everyone in the U.S. I will mail out a free copy to everyone because i’m also a nurse and as such we are taught to help others the best we can. I was also raised to do the same thing which is why i have done so many benefits over the years and donate all money to them, as well as the toy for tots. But in this book it has over 200 ways to get free medication as well as 3 ways to get your doctors offices and hospital bills paid for. I know these agencies and have sent many people to them and any left over money i will send to these agencies so they can help out more people. This is the best way i know how to help out everyone. A Lifetime Prize of $7,000.00/week which would come from Gwy #6900 would definitely be an answer to my prayer to get help to pay for my husband’s health care. I am so-o-o grateful for the possibility. I tried to activate for $7,000.00 a week for life and there was another name. When I updated the information, it didn’t allow me to do anything. I hope that I’ll win the GWY 6900 of $7,000.00 a week. My prayers continue to include the winning of some money from this wonderful program and this specific offer:PCH Gwy #6900. Most definitely would be appreciated and helpful to pay for my husband’s medical care for his illness. I would like to activate my five entries to win prize Gwy. no. 6900. HELLO PCH IT ME AGAIN,WAITING ON THE PRIZE PATROL TO RING MY BELL, TO AWARD THE PCH GWY 6900 THE $7,000.00 A WEEK FOR LIFE. I HAVE BEEN PLAYING THE PCH FOR A LONG TIME AND HAVE NEVER WON ANY MONEY. PRAY FOR US PEBBLE. I AM THANKFUL TO PCH FOR GIVING THE OPPORTUNITY TO SO MANY PEOPLE TO BECOME FINANCIAL INDEPENDENT. YES I WONT TO WIN THE PCH GWY 6900, THE $7,000.00 A WEEK FOR LIFE.WINNING THE PRIZE WOULD CHANGE MY FAMILY LIFE FOREVER. PRAY FOR US PEBBLE. HELLO PCH IT THOMAS GREEN AGAIN ON STANDBY WAITING ON THE PRIZE PATROL TO RING MY BELL; WITH THE PCH GWY 6900. THE PRIZE OF $7,000.00 PER WEEK FOR LIFE WILL BE AWARDED TO ME I HOPE. I AM THANKFUL TO PCH FOR GIVING US THE OPPORTUNITY TO WIN THIS CHECK. Plus I would like to Win the $1,000.00 Cash Prize in the St. Louis TV Area, PCH Gwy No. 6884. Thank you Dear God and PCH Team. HELLO PCH I WOULD LIKE TO ACTIVATE 7,000 A WEEK FOR LIFE PCH GWY#6900 ON APRIL 29 THANK YOU. I am registering to win pch gwy #6900 for $5,000.00 a week for life. Hello to all in pch. Please confirm my activation for my entries to win pchgwy no. 6900 $7,000.00 a week for life. On 4/29th of drawing Thanks pch & GOD BLESS ALWAYS to all. PCH, YES I WOULD LOVE TO WIN! ! ! Activate my pch gwy #6900 of $7000.00 a week for life. At my age, I truly could use the extra money. PCH Sweepstakes, I want to activate my code for a chance to win $1,000.00 for Gwy. No. 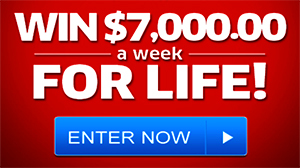 6884, plus to win $7,000.00 a week for life from Gwy. No. 6900 when PCH comes out on April 29, 2016. I will continue to pray for my dreams to come true, and i will continue to play all of the PCH sweepstakes. I would like to apply for 6900 worth 7,000.00 a week for life, and 3080 worth 1,000,000.00 million and 4900 worth 10,000,000.00 million and 4749 worth 25,000.00. I won’t to registered, claimed and activated. My numbers. Amen to these prayers. Pch Activation Alert Win $7,000.00 A Week For Life Prize No-6900 Plus, Win $1,000.00 For Local TV Area Prize No-6884 On April 29th Activate ! FRONTPAGE> PCH GWY#6900 7,000 A WEEK FOR LIFE ON APRIL 29 LOOKING FORWAD FOR THE BEST THANK YOU PCH I HOPE TO SEE YOU SOON ONEDAY. HELO PCH I AM CLAIMING MY ENTRY FOR 7,000 A WEEK FOR LIFE PCH GWY#6900 ON APRIL 29,PLUS ALL OTHER BONUSES AND ENTRIES THAT APPLIES THANK YOU. Good evening PCH I would like to activate #7233 for $10,000 and my # 6900 $7000.00 a week for life. thank you very much and hope to see you in front of my home in Mott N.D. on April 29th 2016. HELLO PCH IT ME AGAIN WAITING ON THE PRIZE PATROL TO RING MY BELL; WITH THE PCH GWY 6900 PRIZE $7,000.00 A WEEK FOR LIFE. WINNING THE PRIZE WOULD BE A LIFE CHANGER FOR ME AND THE FAMILY. I would like to win, so I could get some much needed work to my home, and stop working two jobs. Ms. Holland I responding the email you send me regarding winner selection list report, the forthcoming prize number that I will receive and if my number match the winning number, and I would have to be timely registered, my Prize number will be added to the Winner Selection List, the list of all entries eligible to win $7,OOO.OO A Week For Life on April 29th (Giveaway No. 69OO). I hope my entries are on this list, and also I hope my Prize Number matches the Winning Number and timely returned, Thank you again Ms.Holland for the opportunity you give me. I really wish the Prize patrol come knock on my door. Thanks again. PCH I want to win the $7,000.00 for life from gwy#6900.My Family could really use it!!!!!! 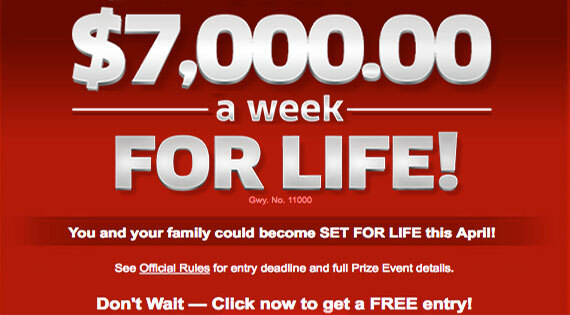 I AM ENTERING MY FAMILY IN THE PCHGWY 6900, TO WIN THE PRIZE OF $7,000.00 PER WEEK FOR LIFE. I HAVE BANKED OVER 71,000,000 MILLION TOKENS , BUT NEVER WON ANY CASH. I THINK IT IS MY TIME. PRAY FOR US PEBBLE. If i were to win $7,OOO.OO A WEEK FOR LIFE from PCH i can make these promises to everyone. The first thing i will do is publish my book because i will mail out a free copy of it to everyone in the united states because as a nurse that grew up in a very large medical family of over 12 other nurses and other medical professionals in my family. This book has in it over 200 ways of getting Free Medication as well as 3 ways of getting your hospital and doctors bills paid. And the money that is left over i will donate to these agencies so they can help out more people. WIN, WIN, WIN, Yes PCH I want to win $7000.00 a week for life Apr 29, #6900. YES, YES, YES… Make my dream come true..
What a thrill to be in a position that starting April 29, 2016, I may be a winner of PCH Gwy # 6900 with $7,000.00/week for life. It would be wonderful to help me pay some expensive bills! I hereby , claim the Requirement Report, remaining to “WIN” and be awarded $7,000.00 “A Week For Life”, Gwy.no.6900; OFFICIAL SEAL to be awarded on April 29th; receiving the blessings of faith to play games daily, and the PCH Prize Patrol Elites will be knocking on my door to deliver the Prize Event award on April 29th, and share the joyous moment. I sincerely keep praying to God that the Prize Patrol Elites will continue to receive his protection for travels with faith in his blessings. I pray that I win PCH Gwy #6900 for $7,000.00/week. Such win would help me pay some very expensive healthcare for my husband. He fell playing tennis, ended up with a stroke and a fracture hip. Lord please help me. entry deadline. I’m respond now and go for it all. Please enter me in the $7000.00 for life sweepstake #6900. Pch, I am ready to be awarded $7,000.00 a week for life. Please accept my entry. Please enter me for the prize $7000.00 a week for life, thank you. I am waiting for your visit……. I will not ever win this prize because no one will ever win this PCH award because PCH does not intend to give this prize to any winner. Pch Requirement Report Win $7,000.00 A Week For Life Prize No-6900 On April 29th Activate ! Once again My Entry To Win $7,000.00 A WEEK on APRIL 29th! PCH GWY NO. 6900! soon become a PCH MILLIONAIRE! My promptly response by April 6th (11:59PM,ET) entry deadline will get me a shot at winning $7,000.00 A Week For Life on April 29th ” Special Early Look” prize event! (PCHGwy.No.6900)! With $7,000.00 A Week For Life, I be ” Set For Life “. I trust you this is to good to pass up! soon become a PCH MILLIONAIRE! My promptly response by April 6th (11:59PM,ET) entry deadline will get me a shot at winning $7,000.00 A Week For Life on April 29th ” Special Early Look” prize event. (PCHGwy.No.6900)! With $7,000.00 A Week For Life, I be ” Set For Life” I trust you, and this is simply too good to pass up! YES! The gwy:6900–dream home and cash, gwy win $7,000.00 A Week For Life on April 29th! I would love to win I hope I’m the lucky one to win PCH Giveaway No.6900 $7,000.00 a week for Life SuperPrize on April 29th, 2016. I’m claiming my prize number from winners selection list to win $7,000.00 a week for life from pch GWY#6900 on April 29.2016 during special early look prize event. Hoping my prize number will match the winning number on the drawing day. 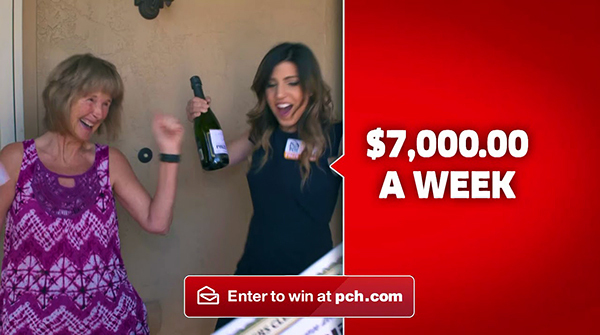 To win $7,000.00 a week for life in the PCH Gwy. No. 6900, would be the most overwhelming and intense experience in life. IMAGINE LIVING YOUR DREAM LIFE. AND NO MORE FIANACIAL WORRY. MILLIONAIRE !!! THIS COULD BE THE BEGINNING OF A WHOLE NEW LIFE ON APRIL 29TH 2016 !!! PCHSEARCH.COM. THE ONLY SEARCH ENGINE THAT COULD MAKE YOU A PCH MILLIONAIRE. I HAVE GOT TO WIN THIS ONE. I BELIEVE IN MIRACLES…AND THIS WOULD BE A MIRACLE. HELLO PCH I AM THANKFUL FOR THE OPPORTUNITY TO HAVE THE CHANCE TO WIN 7,000 A WEEK FOR LIFE PCH GWY#6900 ON APRIL 29 THANK YOU PCH I HOPE FOR THE BEST. Enter my Prize Number W3602, placed in my Winner’s Selection List. Timely submitted before deadline and please help me register for my eligibility and win $7,000.00 a week for life. Above number ready for matching when PCH looking for a winner on 4/29/16. Again, please help my W3602 to Win, on April 29, 2016. Thanks PCH. If i were to win $1,OOO.OO as part of Publishers Clearing House Giveaway No. 6884 and if i could win $7,OOO.OO A Week For Life from PCH the first thing i would do is to publish my book and mail a free copy out to everyone. The reasons are simple. My book has in it over 200 ways or places to get your medication paid for as well as 3 weys to get your doctors offices and hospital bills paid for. And then whatever is left over i would donate back to the agencies so they can help out more people. There is no need for anyone to not eat because they have to pick between pills or food. I was raised to help out others and always will. I would be set for life with the $7000.00 for life plus I would like to activate #6884 please I sure could use that money. thank you. If i were to win $1,OOO.OO as part of Publishers Clearing House Giveaway No. 6884 and if i could win $7,OOO.OO A Week For Life from PCH these are the things i can promise i will do for everyone. The first is to publish my book and mail a free copy to everyone. I say this because i am a nurse with more Free medical information than any other nurse has gathered over the years. I can cay this because i come from over a dozen nurses and a doctor in our family. The other thing is that i work with these agencies and if i can write them a check to be able for them to help more people out, then if i can help them out so they can help out more people that’s great. I was raised to help out others the best way i know how to and as a nurse this is the best way i know. My book gives you over 200 agencies that can and do give out Free medications as well as 3 ways of how to get your hospital and doctors bills paid for. Now who else has this information, i ask you? This is why i had to do up my book. PCHgames before April 4,2016 (11:59PM,ET) entry deadline. Get in the running to win $7,000.00 A Week For Life in the April 29th ” Special Early Look “prize event! With $7,000.00 A Week For Life, I will be for me to be ” Set For Life ( PCHGwy.No.6900)! OK PCH it’s count down for the Gwy No. 6900 “Win $7000 a week for life”, I know it’s my time and I am claiming that the PRIZE PATROL will be knocking at my door April 29th with all the trimmings, balloons and all. Plus, I know I will be the winner of the Tampa Bay TV Area Prize of $1,000.00. I am so excited and so ready to become the next PCH Winner. I have so many dreams that I need to full fill. The timing is right. Thank You PCH for all you do. Pch Search & Win $7,000.00 A Week For Life Prize No-6900 Plus, Bonus SSuperprize $1,000.00 Prize 6684 For Local TV Area On April 29th Activate! Pch Entry $7,000.00 A Week For Life Prize No-6900 Plus, Bonus SSuperprize $1,000.00 Prize 6684 For Local TV Area On April 29th Activate! closer & closer winning is what counts ! clamming no- 6900 $7,000.00 a week for life. super prize all bonus also. why not go all the way right what do i have to lose. if its free its for me. merlinda a lucero no-6884 let’s have fun. I want to win $7,000.000 a week for life. available for winning number for the upcoming ” Special Early Look “drawing. from Detroit TV Area as part of Gwy.No6884 includes the Wilson neighborhood. YES I WONT TO WIN THE PHS GWY 6900 PRIZE OF $7,000.00 A WEEK OF LIFE. WINNING THIS PRIZE WILL CHANGE MY FAMILY FOREVER. I AM THANKFUL TO PCH FOR GIVING US THE OPPORTUNITY TO WIN THIS BIG PRIZE. PRAY FOR US PEBBLE. HELLO PRIZE PATROL IT ME AGAIN WAITING ON THE PRIZE PATROL TO RING MY DOOR BELL. HOPEFUL TO AWARD THE PCH GWY 6900 PRIZE OF $7,000.00 A WEEK FOR LIFE. I BEEN PLAYING PCH FOR A LONG TIME. I BELIEVE IT MY TIME. PRAY FOR US PEBBLE. I AM THANKFUL TO PCH FOR GIVING SO MANY PEOPLE THE OPPORTUNITY TO BECOME FINANCIAL INDEPENDENT. YOU GO ON LINE TO PCH.COM AND REGISTER. THEN YOU HOPE AND PRAY THAT THE PRIZE PATROL KNOCK ON YOUR DOOR, TO AWARD THE PCH 6900 PRIZE OF $7,000.00 A WEEK FOR LIFE. YES I WONT TO WIN. PRAY FOR US PEBBLE. HELLO PCH IT THOMAS GREEN AND I AM ENTERING MY FAMILY IN THE PCH GWY 6900 TO WIN THE $7,000.00 PER WEEK FOR LIFE. WE WILL BE WAITING ON THE PRIZE PATROL TO RING MY BELL.PRAY FOR US PEBBLE. I HAVE BANKED OVER 71,000,000 MILLION TOKENS, BUT NEVER NO CASH. I BELIEVE IT MY TIME AND I AM CLAIMIMG THE GWY 6900 TO WIN $7,000.00 A WEEK FOR LIFE. PLEASE ACTIVATE MY ENTRY TO WIN. PRAY FOR US PEBBLE. UPDATE! I’m receiving this notice because I have successfully entered to win on or more your amazing contests multiple times this past week. Say I would love to win the money so i can keep playing more games. I pray my PCH GWY NO6900 helps me to be the big prize winner on 4/29/16. It would change the lives of several people, mostly family, my husband and I,and a few deserving friends. Gracias, si fuera cierto y pudiera gana . …. solosDios sabe cuanto lo necesito. Dios los bendiga. Pch Search Final Step $7,000.00 A Week For Life Prize No-6900 On April 29th Activate ! I wan y prize number to win $7000 a week for life at PCH April 29, 2016. Time for me to win, I have been a PCH customer since 1967 and never won anything. Sometimes I wonder if there is a sweepstakes. I would love to win because am 70 years old and not getting any younger. Come on PCH bring it to me!!! FINAL STEP FOR $7000,00 A WEEK FOR LIFE, FINAL STEP, WINNER SELECTION LISTING, SUPERPRIZE NUMBER: 021599676914 FPR ALL ENTRIES AND BONSUSES APPROVED AMOUNTS FILE-W12HOWE IN AMOUNT OF $7,000.00 A WEEK FOR LIFE ORIG. OFFICE : 101PW EVP SELECTION LIST BY D. HOLLAND, SINCE JAN 14, INCLUDING THE BONUS 0F $50,000,00 ONTO THE LIFETIME PRIZE. i am entered in the PCH GWY. No. 6900 for $7,000.00 a week for life prize. i am keeping the faith to pay off my morgage, dept, help family and charity, and take a long over due vacation. OK PCH it’s count down for the Gwy No. 6900 “Win $7000 a week for life”, I know it’s my time and I am claiming that the PRIZE PATROL will be knocking at my door April 29th with all the trimmings, balloons and all. I am so excited and so ready to become the next PCH Winner. I have so many dreams that I need to full fill. The timing is right. Thank You PCH for all you do. valid Prize Number make me fully eligible to win $7,000.00 A Week For Life on April 29th! I’m would like to take act now. enter for owership of my Lifetime Number today.Secure me and entry now. part of Gwy.No.6884 includes the Wilson neighborhood. I would like to take act now. I’m still here and activating #6900 $7000.00 a week for life please and i’ll be waiting for you to pull up to Mott N.D. to present me my check for life. I have never won anything in my life and this would be so awesome and I would be debt free. WOW THANKS PCH FOR ALLOWING ME TO PARTICIPATE, I HOPE & WISH I WILL BE THE NEXT WINNER THIS APRIL. FRONTPAGE;HELLO PCH I AM CLAIMING MY ENTRY FOR 7,000 A WEEK FOR LIFE PCH GWY#6900 ON APRIL 29,PLUS ALL BONUSES,AND PRIZES THANK YOU PCH.